The apartment Helena is located in a very quiet location above of St. Niklaus. It is approx. 3 km from the center of he village St. Niklaus in direction to Grächen. It is on the sunny side of the valley with a breathtaking view on the mountains. It is perfect when you love the nature and want to relax and forget everyday life for a while. There are 5 apartments in the house which normaly are used for our guests. There is enough space for 4 - 5 persons in the apartment with two sleeping-rooms. It is starting point for hiking, biking and mountain tours in the Mischabel area. 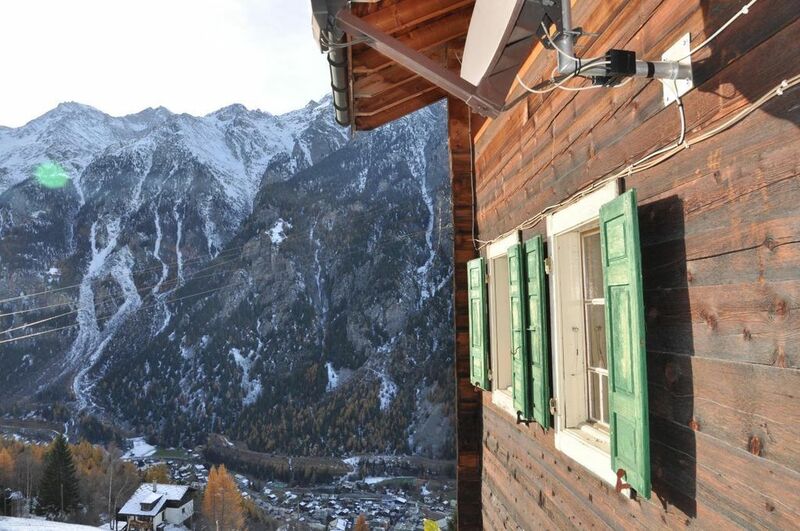 The chalet is only 3 km from the village center of St. Niklaus and easy reachable by a small mountain road. In the village there are shops, a pharmacy, a doctor, train and bus connections to the direction of Zermatt, Grächen and Visp and a variod offer of leisure activities. Bed linen: once per object for rent at a price of 20 CHF (Mandatory). Towels: once per object for rent at a price of 10 CHF (Mandatory).